Service to clients and to his life-long community are Mr. Jacobs' focus and passion. Frank D. Jacobs concentrates his practice in the areas of estate planning, general tax planning, charitable planned giving, business structuring, business succession planning and planning for qualified retirement plan beneficiary designation payouts. Mr. Jacobs is admitted to the bar of Ohio and to practice in the federal courts, including the United States Supreme Court. Additionally, he holds a Certified Public Accountant (CPA) certificate (now inactive). Mr. Jacobs has been a member of the Firm since September 1, 1984. Mr. Jacobs is accredited by the Ohio State Bar Association as a Certified Specialist in Estate Planning, Trust & Probate Law and is currently a member of the Specialty Board which develops and administers the specialty test. He has presented at a number of business and professional society meetings covering tax, business, charitable gifting and estate planning subjects as well as written various articles in his areas of expertise. Mr. Jacobs is a former adjunct professor in the College of Law, University of Toledo, in tax subjects. 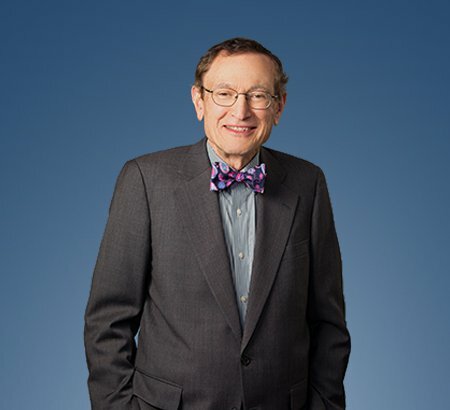 In 1991, he was elected a fellow in The American College of Trust and Estate Counsel, an international association of lawyers recognized as outstanding practitioners in the fields of estate and trust planning and administration, related taxation, business succession, insurance planning and employee benefits. Membership in the College is an honor conferred by the peers of the newly-elected fellow and is by invitation-only from the College’s Board of Regents. Assisting clients in planning their estates in order to minimize estate taxes and probate costs and to address such issues as potential remarriage of a surviving spouse, caring for minor children, asset management and protection for beneficiaries. Assisting clients in implementing sophisticated estate tax reduction strategies such as creation of grantor retained annuity trusts (GRATs); creation of irrevocable generation-skipping dynasty trusts; gifts and sales to a grantor dynasty trust; creation of irrevocable life insurance trusts (ILITs) in order to exclude life insurance from the taxable estate of both husband and wife; creation of qualified personal residence trusts (QPRTs); and analysis and creation of charitable remainder trusts (CRTs) and charitable lead trusts (CLT). Advising clients on formation of new businesses and in what form they should be operated with special emphasis on who should own the business, particularly on who will control the business. Assisting business owner clients in succession planning to pass the business down to future generations, to address the transition to the next generation and to assure receipt of fair market value at the business owner's demise. Structuring beneficiary designations for retirement plans in such a manner as to maximize the beneficiary's ability to stretch out distributions and defer taxes. Assisting clients in carrying out planned giving charitable goals and objectives including the formation of private charitable foundations, and the creation of sophisticated split interests trusts such as charitable remainder trusts and charitable lead annuity trusts. In 1991, elected as a fellow in The American College of Trust and Estate Counsel. Selected by his peers to be included in The Best Lawyers in America® in the trust and estates practice area.